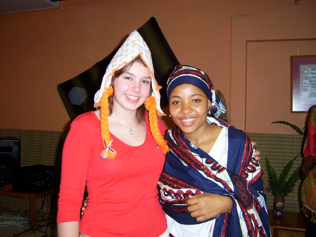 For nearly half a century, the global UWC Movement has been striving “to make education a force for peace and a sustainable future.” We bring together young people from a wide range of cultural, social and religious backgrounds, and encourage them to take ownership of their future and that of the societies in which they live. in the highest profile way of putting this into practice is through the 13 United World Colleges situated all over the globe. These are schools that bring together students, selected from a variety of the 168 countries in which UWC has a presence, to spend two years together. This is a time of intense learning and sharing and one of these colleges is Waterford Kamhlaba in Swaziland. Of increasing popularity are the UWC Short Courses. These are brief summer programmes that bring together a highly diverse group of young people to promote international understanding, global citizenship and personal responsibility. Dozens of them have been running in the last two decades, in places like Israel, Wales and Montenegro, focusing on themes as diverse as desertification, participation, and conflict resolution. They have been very effective in inspiring young people to engage more profoundly with specific issues, to adopt the values of the UWC movement, and to become more active in striving for social change.